It's not even funny how excited I am to finally have this palette in my hands! If you've read my last few posts you'll probably know that my dad went to Las Vegas a few weeks ago and kindly brought me back a few bits and pieces. 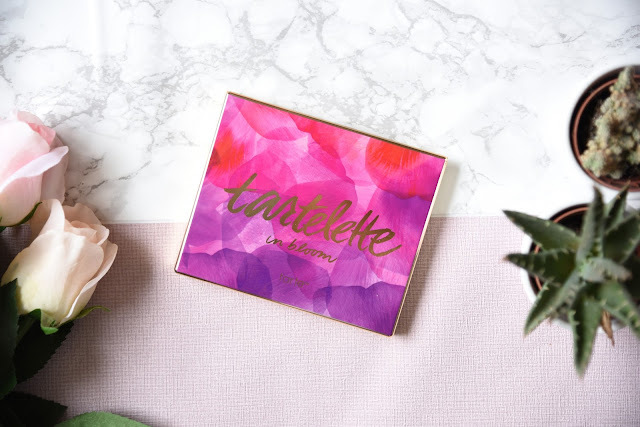 One of them was this gorgeous Tarte Tartelette In Bloom Palette! Don't forget to check out my US Sephora Beauty Haul! 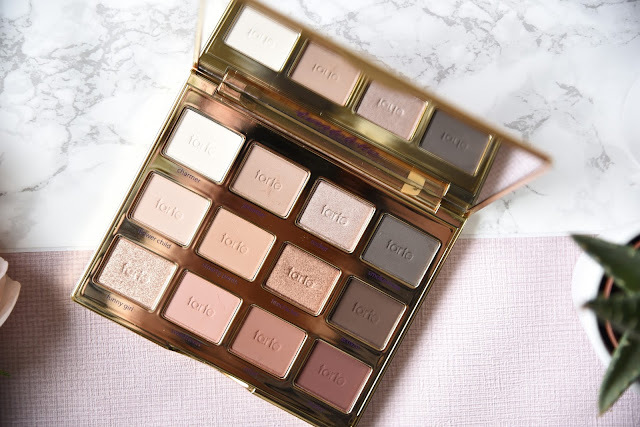 This is the first Tarte palette I've used and I was so excited to see what all the fuss was about! 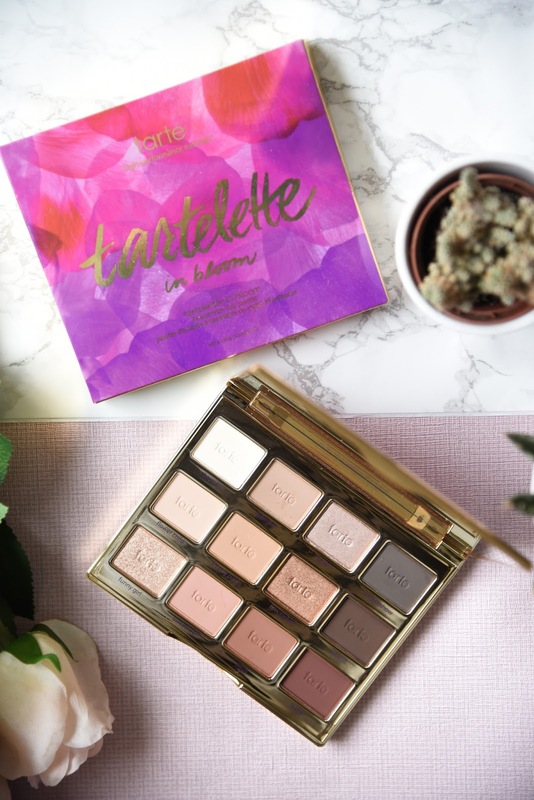 I always thought that the original Tartelette palette looked lovely, but I like having a mix of matte and shimmer shades and with that only being matte I didn't end up getting it. But as soon as I saw this one, I knew I had to have it! Beautiful and very wearable matte and shimmer shades were calling my name! The packaging is just to die for! Top Row - Charmer (very light matte beige), Jetsetter (light warmed toned matte beige), Rocker (medium taupe with frosty shimmer), Smokeshow (dark cool toned matte blackened brown). Second Row - Flower Child (light warm toned matte peach), Smartypants (medium matte brown with warm orange undertones), Firecracker (medium bronzy brown with golden copper frosty shimmer), Activist (dark matte brown). Bottom Row - Funny Girl (light gold with a frosty shimmer), Sweetheart (matte peachy orange), Rebel (medium red brown matte), Leader (dark red brown matte with warm undertones). Taste's signature Amazonian Clay formula really is as good as people say! The shades are so easily blendable, both matte and shimmer. The shades are so pigmented and have amazing colour payoff, which is great for a set of such wearable colours. 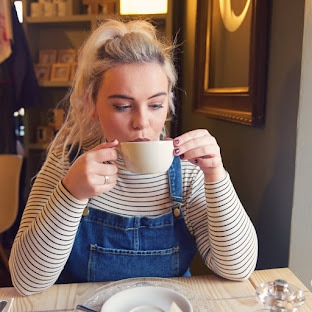 All the shades work so well together and I've had loads of fun mixing and matching, you really can create any look! Have you tried any Tarte products? I'm off to Miami in March and this is definitely on the list - so excited!! I really need this in my life - it looks truly gorgeous!